Sully, former Pres. George H.W. 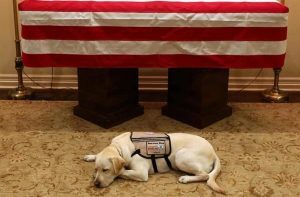 Bush's service dog, pays tribute in front of Bush's casket. Sully, former Pres. George H.W. Bush’s service dog, pays tribute in front of Bush’s casket.